What a lovely day! Spring is just around the corner and we've had nothing but lovely weather here. I couldn't think of a better way to celebrate this wonderful day than to kick off March previews for The Craft's Meow! 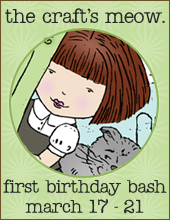 I have created two cards today to show two different sets that TCM will be releasing on March 21, during the birthday bash blog hop! Firstly though, I would love to welcome our new designers, Karen, Jen and Amy, and our fabulous guest designers for March, Amy Kolling and Deborah Nolan! Welcome girls! So here is my first creation, using a lovely stamp set designed by Nina Brackett, 'Beautiful Spring'. As a part of TCM's birthday bash, we have a bunch of fun graphics to use as inspiration each day! I couldn't help but join in the B-day festivities and use this wonderful sketch! Happy B-Day TCM!!! It was great to work with a light and colorful palette, especially with Nina's lovely images! I used a lot of toppings from my stash, like the scrunched vintage ribbon, a few buttons and flowers, and spent a lot of time fussy-cutting. The sentiment is from this beautiful set, and the lovely polka-dotted frame is from the Lovely Labels 18 stamp set, also from TCM and designed by Nina. 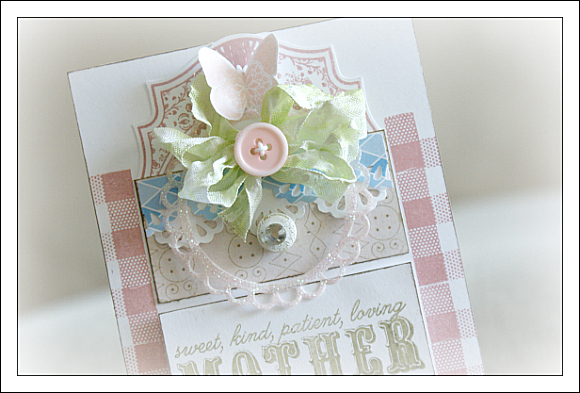 In my second card, I feature the 'Mother & Father' set, designed by Nina B. I've once again used a few of my favourite items, like pretty vintage ribbon, buttons, and Webster's Pages paper. I really adore these stamps. They are so wonderful! And what a perfect time to stock up on Mother's and Father's day stamps - with both days sneaking up on us! I created both cards with the same colors, using Versa Magic Chalk ink (which happens to stamp so beautifully with TCM stamps!). The colors I've used here are: Spanish Olive, Pink Petunia, and Ocean Depth. That's all for today! I hope you will join me back here tomorrow for Day Two of previews! p.s. Be sure to leave a comment here, to win both of these lovely stamp sets! What stunning cards ... beautiful! gorgeous cards! I really love the colors of your project and designs. So love the glittered die cut. Such beautiful cards! They almost seem to float with their delicate embellishments. 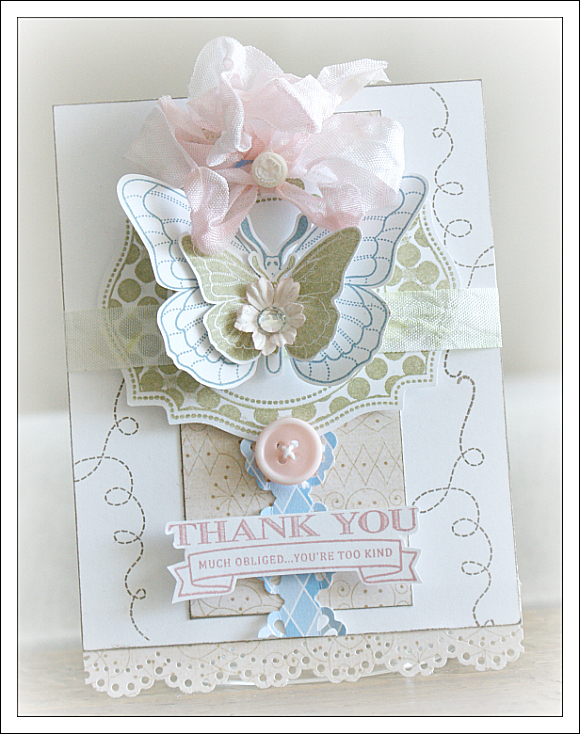 Beautiful cards- they are so elegant with the light colors. Totally breathtaking, as usual! Love the soft colors, layers, and your interpretations! 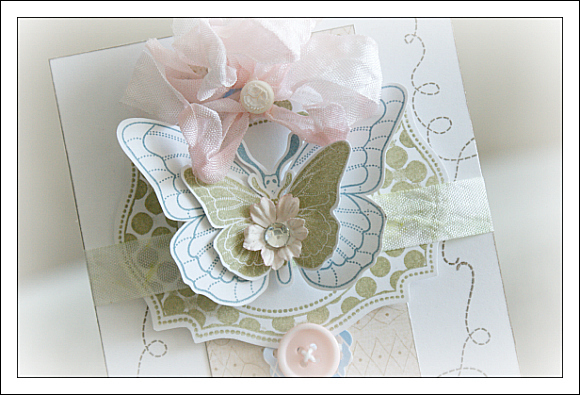 The little butterfly trail is AO cute on that first card, a great touch! So so beautiful! Love both of your cards. Your style is so elegant. Love the new releases and how you used them. lovely...seriously...I always love your projects. Love your pretty soft layers, as always!! 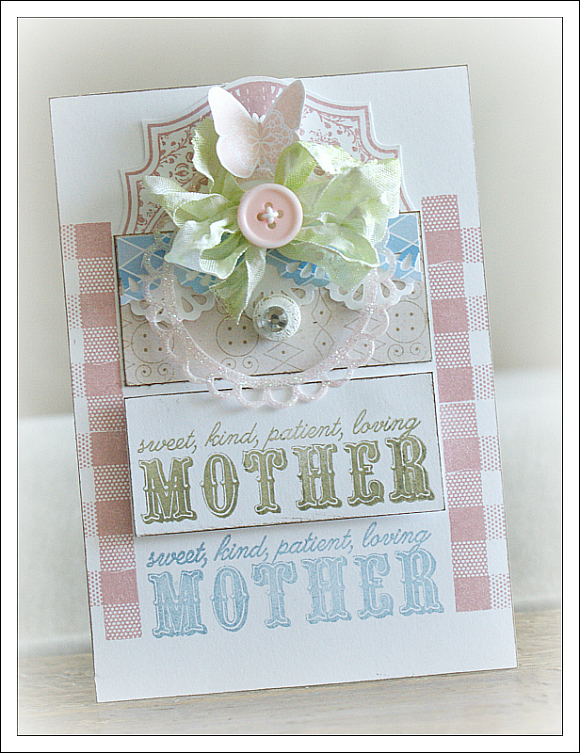 Lovely cards--so soft and pretty. Absolutely Gorgeous creations!! 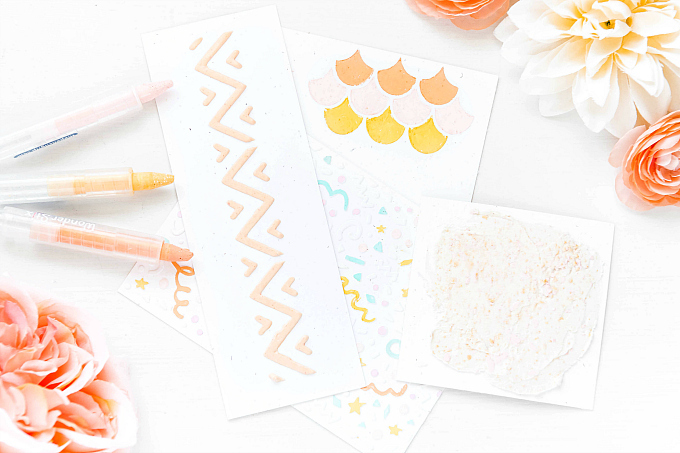 Love the soft colors with this beautiful stamp set! These cards are so gorgeous! 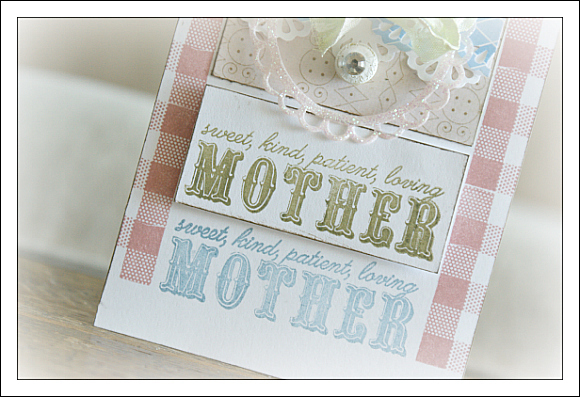 Love the stamped sentiments and that glittered circle diecut on the second card. This is just totally gorgeous! Love your soft colors! Oh Ivana -- you make the loveliest cards! I'm sure Nina will be thrilled to see what you have created with her new designs. Thanks for sharing your beautiful cards today. Gorgeous card! So soft and feminine! TFS! Both your cards are so soft looking and beautiful. Love all the layers and embellishments on them. Elegant and gorgeous!! The stamps released by Nina B are timeless and worth every penny! I went back on your blog and looked at previous releases...just as beautiful today! 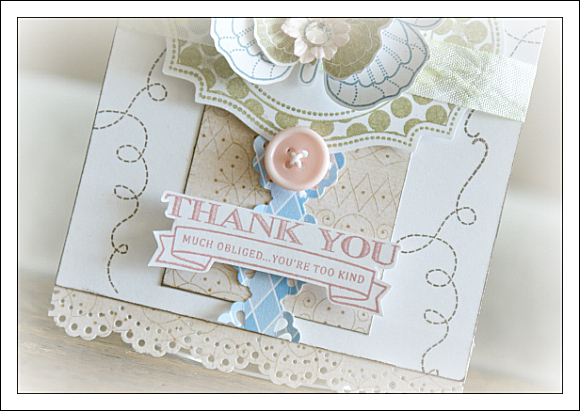 Thanks for showing us stamping at it's best! Both cards are stunning - you totally rocked Amy's sketch!